OnyxSoft has announced that a new version of their SnapIT utility is available. The utility was uploaded to the archives for us to download as well. SnapIT is a powerful MUI-based screen grabber and is available for multiple platforms (Aros, MorphOS and OS4). It is the first release of the utility to add support for Aros and OS4. 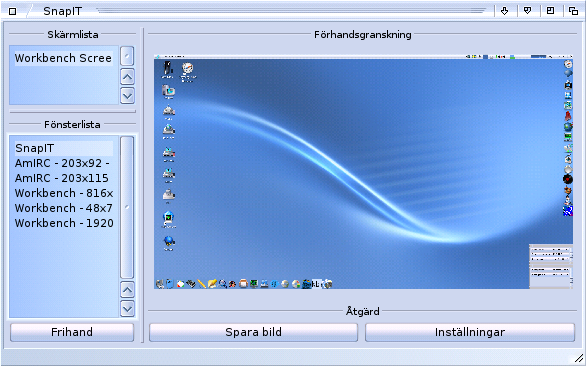 SnapIT can grab screens as well as windows, but it's also possible to capture a portion of the screen using the mouse. It can write the captures in various formats to disk and has an easy to use interface which also displays the most recent capture.